You’ve made a presentation using PowerPoint 2010. Added some animations and very cool transitions. So, what if you want to open it to another computer with no PowerPoint application or with lower versions of PowerPoint. The solution for this is PowerPoint Viewer 2010! 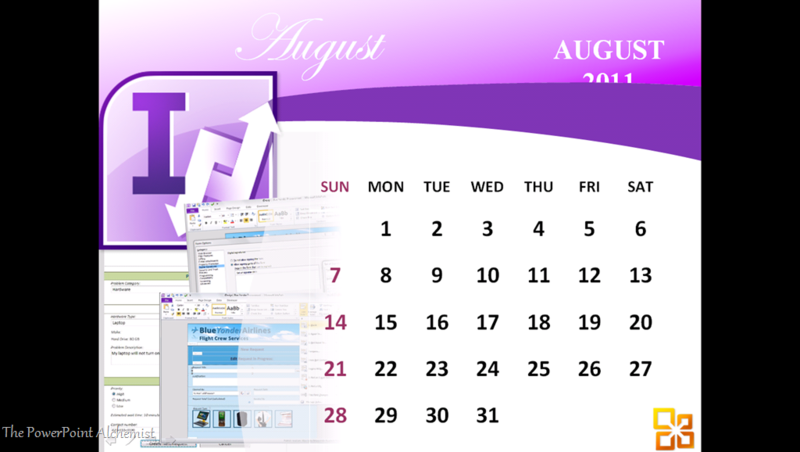 By installing PowerPoint Viewer 2010, you can now open and view your presentations. 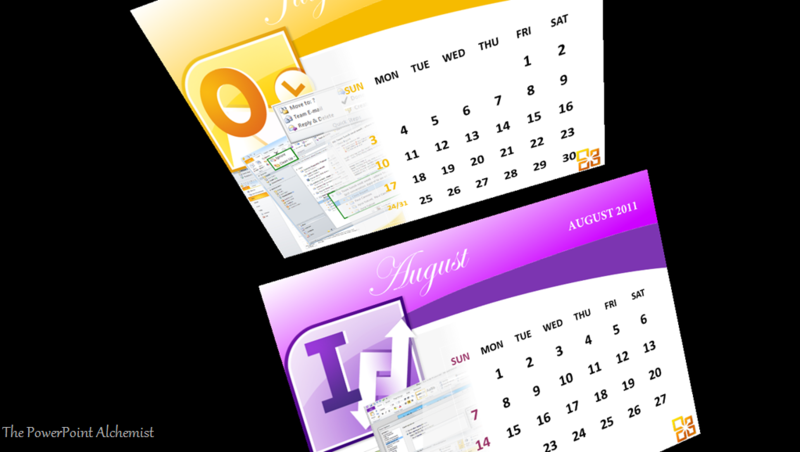 It will preserve the animations and transitions that were included using your PowerPoint 2010 application. I have a screenshot below of a slide done using PowerPoint 2010 that has a “Switch” transition. Remember: When using 2007 and up version we have a .pptx file extension. These extension cannot be viewed in lower versions (2003 below) that’s why we have to save it as .ppt or what we call compatibility mode. 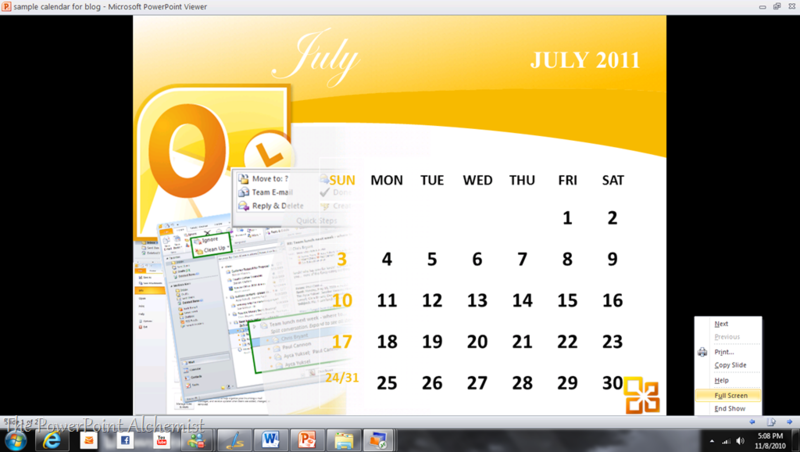 Using PowerPoint 2003: you can see from the layout of my calendar is not in order. Notice the August 2011 word in the upper right hand corner? In addition to that, the 3D “switch” transition of my slide became a dull “Fade” transition. 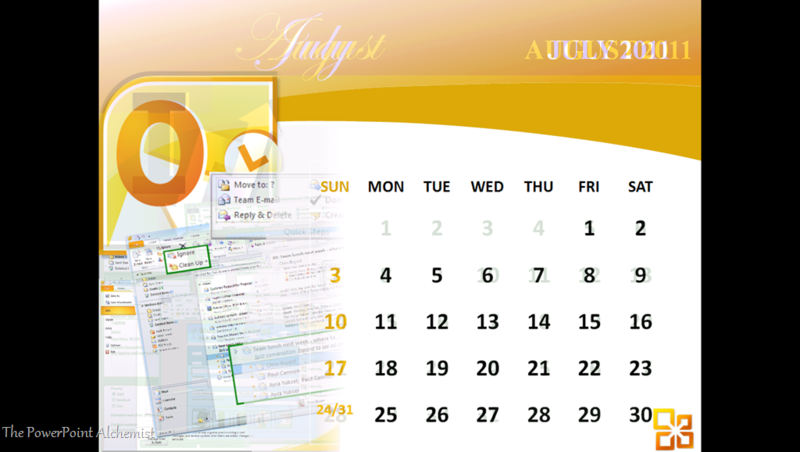 Using PowerPoint 2007: the layout of my calendar is already fixed. Apparently, my slide transition is still in “Fade” view. 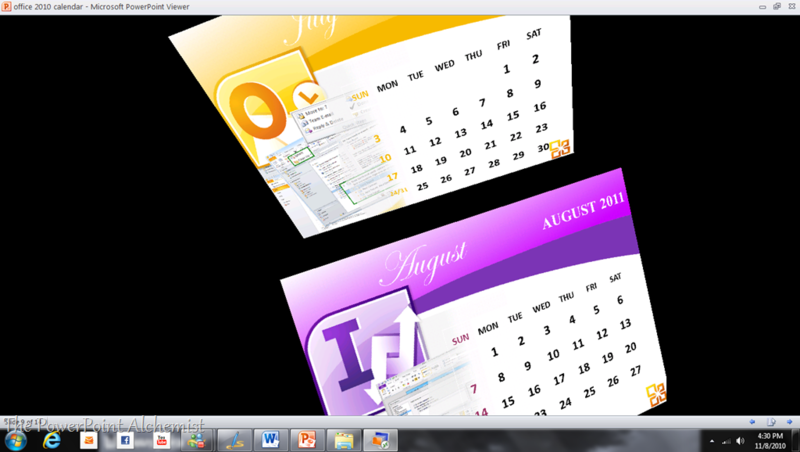 Using PowerPoint Viewer 2010: the layout and the transitions are already identical from the original file. You can view the slide in full screen by pressing F5 or pressing the command as shown below. Additional: Graphics hardware acceleration requires a DirectX 9.0c graphics card with 64 MB or more video memory. Product functionality and graphics may vary based on your system configuration. 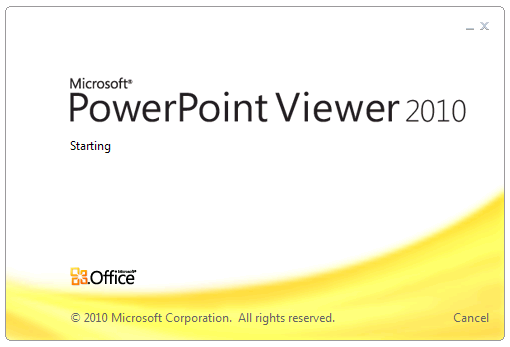 The good thing with PowerPoint Viewer 2010 is that the application is free for download. This entry was posted on Sunday, January 9th, 2011 at 7:47 pm	and posted in PowerPoint. You can follow any responses to this entry through the RSS 2.0 feed.